In the 1st part of this series we analyzed the structure of a malicious symbolic link and the flow of the execution. In this part we are going to test the previously created malicious symbolic link against the most popular antivirus products and observe the detection rate. Signature Based Detection: Examining files without executing them and compare the results against a huge database of signatures of already known malware. 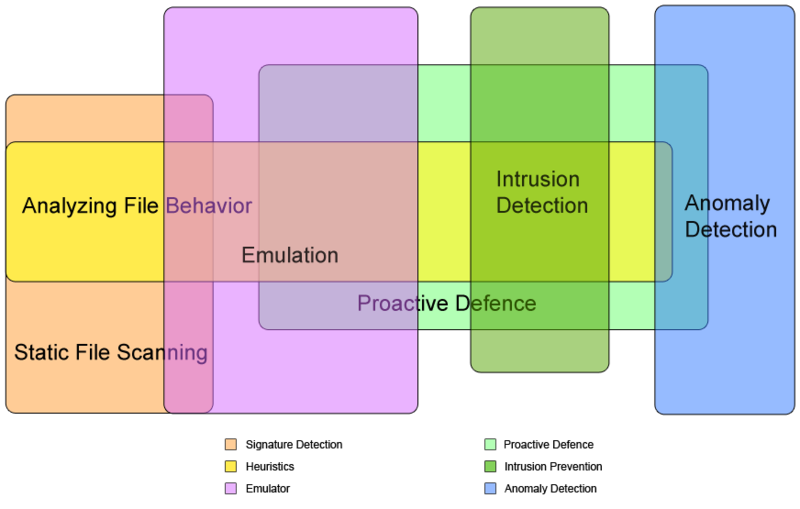 Behavioral Based Detection: Allowing applications to get executed but keep monitoring for suspicious activity (changing registry keys, adding applications to system start-up, downloading executable files from the internet, etc). While symbolic links are very useful for everyday work, they can also be misused by distributing malware. Of course, to exploit this, the victim has to download a malicious symbolic link via social engineering and execute it. This can be achieved because the symbolic links can call the command line (cmd.exe) without any limitation to the parameters that will be provided. As illustrated in figure 1, in the first stage the symbolic link calls the windows command line and copies itself as a batch file to the temporary directory (this directory is used for storing temporary files and the user always has write permissions). The batch file gets executed with no problem and generates the vbs (visual basic scripting) malware downloader which finally delivers the malware to the compromised computer. But lets take a closer look in the malicious symbolic link first. Hi there, My name is S. and I'm pleased to announce the launch of my new security blog!! I feel pretty excited that I have my own place to share my thoughts. I will be posting new security tricks that I have discovered by myself, I hope that all of you will like them. New posts are coming soon! !